Passivation process tank systems provided by HPI Processes, Inc. are manufactured using the newest innovative technology. Passivation is a non-electrolytic process typically using nitric acid to remove free iron from the surface and form an inert, protective oxide layer that strengthens metals against rust and oxidation, making it a preferred method of corrosion control for many industries. Ideal for the medical device and aerospace industries, our processes and equipment are manufactured to the highest industry standards. Any industry that requires contaminate-free, corrosion-resistant parts and components can reap the benefits of having high quality Passivation Process Line. Complete process benches or manual/automated process tank systems available for your passivation applications. High-Performance Products at HPI Processes, Inc.
All tanks feature 316 Grade stainless steel construction. All rinse and cleaning tanks are integrated with Ultrasonic technology. Conductivity activated rinse tanks feature brilliant technology. In this feature, when water gets dirty, the water automatically flows through the cascading rinse tanks. This helps in reducing the water consumption. Forced air-drying tanks are incorporated in the bench. Complete process benches or manual/ automated process tank systems are also available for your passivation applications. HPI Processes, Inc.’s is recognized nation-wide as a leader in the industry. Our solutions are modeled around specific client needs. By taking process and user limitations into account, we are able to provide a solution that enhances overall efficiency. 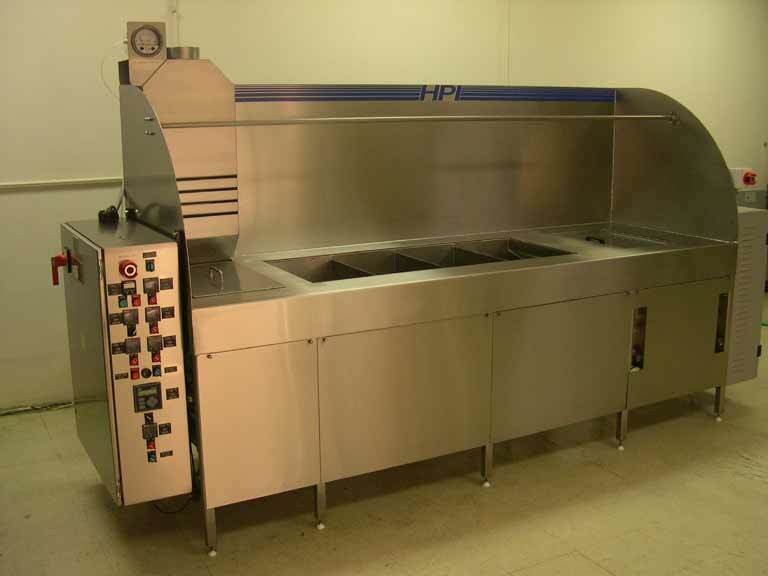 Please feel free to contact HPI Processes, Inc. to customize your next Passivation Process Benches/ Tank Systems!